The much anticipated Fortnite World Cup has finally begun, and the first weekend of qualifiers went exactly as most people predicted. Spoiler: It wasn’t good. Despite a nerf that brought The Baller’s health down from 300 to 200, the vehicle still ran rampant over the competition and dominated late games. In this clip from qualifiers over the weekend, in the screenshot used for the title picture, you can see 12 different hamster balls and only one player not in one with 17 people left in the game. The primary problem with The Baller in competitive matches is that it doesn’t come with a disadvantage. 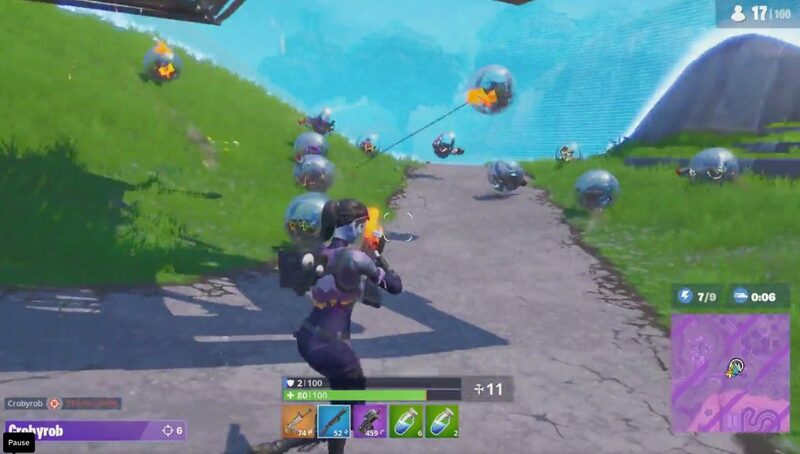 People piloting Ballers already have full load outs and 1500 mats, which they can then use to enter an engagement after The Baller has been destroyed. Put yourself in the shoes of the one player facing down 12 ballers. Who do you attack? How can I protect myself from other people? Even if I do attack, can I guarantee a kill when that person will just begin to build immediately? Right now a herd mentality has taken over Fortnite competitive, and it’s not the player’s fault. Being in The Baller is a better strategy than being one of the only players outside of one. How can Epic fix The Baller problem? There are two solutions in my mind, and something will need to be done before next weekend. First, Epic could remove The Baller from competitive playlists. It’s a valid point. Maybe they decided a competitive scene with hamster balls bouncing off of each other was better than one with lags, bugs and glitches playing huge parts in placement. Even with The Baller, bugs did still play a part as TSM’s Zexrow was taken out by a ghost shotgun blast at one point. Still, this could arguably be the reason why Epic hasn’t acted on a clear problem over the last month. The second solution puts the fix in the player’s hands, but it also comes with a host of new issues. Fans of CoD esports are familiar with the Gentleman’s Agreement (GA). Basically how it works is that when overpowered items, abilities or weapons are found in a new CoD, the pros agree to just not use them. There have been issues with the GA plenty of times in the past, but ultimately CoD esports is in a better place with the agreement than without it. The GA relies on the honor system and is designed as a way to make a game whose sole focus is not esports, into a better competitive experience. Sound familiar? However, the key difference between CoD and Fortnite esports is organization. Call of Duty teams compete in the Call of Duty World League (CWL). They are all rostered by various esports organizations and compete in a controlled environment with staff on hand. In Fortnite, that isn’t the case. Epic has worked to make Fortnite esports open to the casual player. The $1 million qualifiers are being held online so organizing the entire player base into a GA would be nearly impossible. It could, however, be something to consider for the World Cup itself. In a controlled LAN environment with a set amount of players, a GA could be possible. Obviously, it won’t be over The Baller because of the way Fortnite quickly adds and removes things from the game, but this could be a potential solution if something OP is in the game by the end of July. 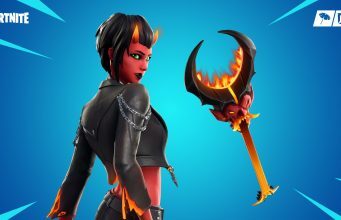 I don’t know how Epic will decide to proceed, and neither do the pro players. If The Baller truly is a way for Epic to get around the server load of competitive end games, the problem may be much more severe than we realize. If they don’t feel like they can offer a competitive experience without a large amount of players in The Baller or planes before that, Fortnite esports is backed up against the wall with time running out. Hopefully the Fortnite World Cup lives up to its billing as the most impressive esports tournament of all time, but the clock is ticking for Epic Games.